Today is #TransitThursday. Today, my usual commute from Carrboro to Durham on the GoTriangle 405 bus comes a day after the discontinuation of the Durham-Orange Light Rail Transit Project. I have thoughts. Even without the DOLRT Project, the challenge of the Durham-Orange transportation corridor that it was designed to address remains. It is one of the most intensively traveled commuter corridors in North Carolina; it will only become more challenging. As Durham Mayor Steve Schewel said yesterday, before we look ahead, we must acknowledge the enormity of this setback for the people of Durham and Orange Counties. Planning to address the Durham-Orange corridor took many years. Planning another meaningful transit solution in the corridor will take many years more. The DOLRT Project faced challenges from the start. Reactionaries in the North Carolina General Assembly set absurd funding limits and arbitrary deadlines to undermine years of planning that had broad community support. 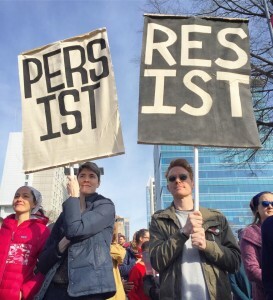 We persisted. The path ahead for the DOLRT Project narrowed considerably after Duke University withdrew from planning discussions, a devastating decision that showed little care for the people of Durham, as my colleague Commissioner Jennifer Weaver has said. Thanks to the many community members who invested time and energy in a vision and a plan to transform the public transit network of the western Triangle. Thanks to the professional staff of GoTriangle and the staffs of local and regional governments and planning organizations who brought amazing technical expertise, planning chops, and passion to implementing our communities’ priorities. Thanks to the committed, visionary leaders of Durham and Orange Counties who stood up for our communities, backed up by Governor Roy Cooper, Secretary of Transportation Jim Trogdon, Congressman G. K. Butterfield, and Congressman David Price, among others. We’re up to the new challenge. It will take renewed commitment to the community’s vision, expressed over and over again, of a truly regional transit network. And it will require a General Assembly that is responsive to democratically determined local needs. Want to be part of the action? Watch for new opportunities to participate in amending the Orange and Durham transit plans. Completing the important local projects in those plans, and finding new approaches to regional cooperation, is where you’ll be needed. 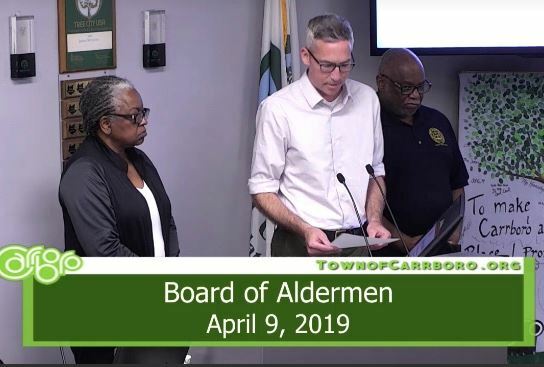 Damon Seils is alderman and mayor pro tempore of the Town of Carrboro and chair of the Durham-Chapel Hill-Carrboro Metropolitan Planning Organization Board. This entry was posted in news, planning, transportation on March 28, 2019 by Damon. For this month’s office hours, I’m glad to welcome special guest Joal Hall Broun, the chair of the Chapel Hill-Carrboro school board and a former Carrboro alderwoman. Joal also serves on the executive committee of the Chapel Hill-Carrboro branch of the NAACP. She has worked for all of us locally and regionally in a variety of roles over many years. This entry was posted in events and tagged office hours on March 26, 2019 by Damon. These dates, times, and locations may change. So be sure to check this page for updates or follow along on Twitter or Facebook. And office hours or not, feel free to contact me anytime. See you soon! This entry was posted in events and tagged office hours on January 6, 2019 by Damon. My fall season of community office hours continues with special guest Karen Howard, member of the Chatham County Board of Commissioners. Karen represents Chatham County District 1, the northeastern corner of the county nearest to Carrboro and Chapel Hill. 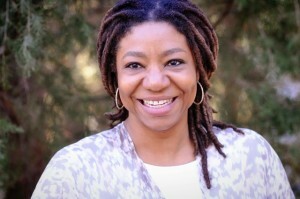 She and I serve together on the board of the Durham-Chapel Hill-Carrboro Metropolitan Planning Organization. Join us on Saturday, October 20, from 11:00 am to 1:00 pm at Looking Glass Cafe. Drop in at any time. We look forward to seeing you. This entry was posted in events on October 15, 2018 by Damon. A new season of office hours begins with special guest James Williams, former chief public defender of Orange and Chatham Counties and currently a member of the executive committee of the Chapel Hill-Carrboro NAACP, among other things. Join us on Sunday, September 23, from 1:00 to 3:00 pm at Looking Glass Cafe. James and I will be available to chat about whatever Carrboro issues are on your mind and about the important racial equity work James is doing in Carrboro and beyond. Drop in at any time. We look forward to seeing you. This entry was posted in Uncategorized on September 20, 2018 by Damon. This morning, Mayor Lavelle released a statement regarding recent activity by Immigration and Customs Enforcement agents in Carrboro and throughout Orange County. It has come to our attention that Immigration and Customs Enforcement (ICE) officials have been operating in Orange County over the past two days. We believe they have detained at least two Carrboro residents and at least four other county residents. Since learning of ICE’s actions, Town officials have been working with representatives of El Centro Hispano and other community partners to contact the family members of the detainees and to ensure that they have adequate legal representation. Approximately one in five Carrboro residents were born outside the United States. The Carrboro Board of Aldermen firmly believes that immigrants are an integral part of our community and should be welcomed and supported. For many years, we have advocated for comprehensive, compassionate immigration reform. It is essential that all residents of Carrboro feel safe and secure, regardless of their national origin or immigration status, and that they receive due process and legal representation. We will continue to cooperate with our colleagues in Orange County, Chapel Hill, and Hillsborough to keep the community informed about this week’s incidents. We also will continue to support the work of our community partners to educate residents about their rights, and to offer information and resources for residents who need assistance. Finally, on a personal note, I cannot adequately express how frightening this news must be for our neighbors who live in constant fear that these actions may happen on any given day in our town. My heart hurts for our community. I look forward to a future when we live in a nation where all people are treated with compassion and respect, regardless of their immigration status. This entry was posted in news on April 12, 2018 by Damon. This year, I’m kicking off a new season of community office hours with a special guest. Join me on Sunday, February 25, from 12:00 to 1:30 pm with the wonderful Karen Stegman, who was recently elected to the Chapel Hill Town Council. Carrboro and Chapel Hill are joined at the hip, and that’s how we like it. Our two towns work closely with each other and with Orange County on a range of important issues, from public transit and land use planning to emergency services and solid waste. Karen and I share particular interests in progressive comprehensive planning that emphasizes smart growth and local and regional pedestrian-bicycle-transit connectivity; social inclusion and racial equity; and environmental protection. 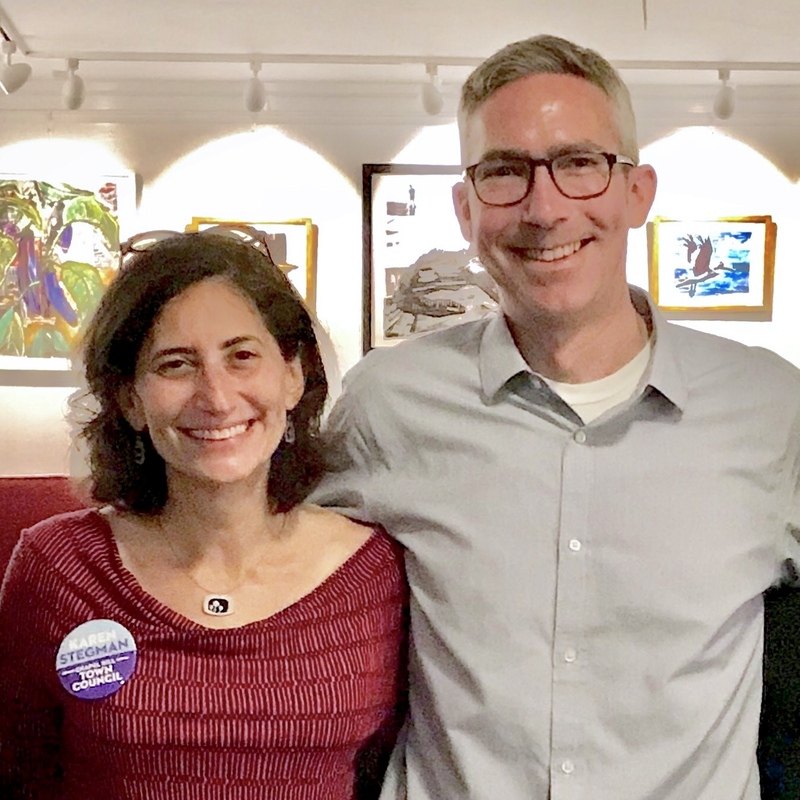 As two of Orange County’s three LGBTQ elected officials, Karen and I also take a special interest in showing up for our fellow LGBTQ North Carolinians. We’ll be available to talk about these topics and more. Drop in at any time. We’re looking forward to seeing you. For more news and event information, follow me on Facebook and Twitter. This entry was posted in events on February 10, 2018 by Damon. 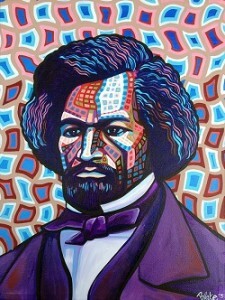 On Monday, February 5, Carrboro joins in on the countywide celebration of the 200th anniversary of Frederick Douglass’s birth. Come out to the Century Century to learn from and celebrate with James Williams, former public defender for Orange and Chatham Counties; Michelle Lanier, executive director of the North Carolina African American Heritage Commission; and Jaki Shelton Green, 2009 Piedmont Laureate and 2003 recipient of the North Carolina Award for Literature. 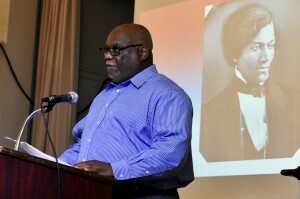 Plan to attend other events throughout Orange County into the spring: http://www.orangecountync.gov/…/frederick_douglass_200th.php. This entry was posted in events, news on February 3, 2018 by Damon. Many of you know that I was arrested in December at the North Carolina Legislative Building while protesting the General Assembly’s outrageous fourth special session. That sham session, called under dubious legal circumstances, featured bills that would diminish the new Democratic governor’s ability to make appointments to the cabinet and to UNC schools’ boards of trustees, change the makeup of boards of elections and merge the state board of ethics and the state board of elections, and delegate greater authority to the new Republican superintendent of public instruction. Basically, the fourth special session was a power grab. In the aftermath of my arrest, I have agreed to complete community service hours. These won’t be just any community service hours. I plan to highlight the work of several nonprofit organizations in North Carolina that are advancing causes and serving communities under direct attack by our reactionary General Assembly. Today, I served as the volunteer social media manager for the NC AIDS Action Network during the Moral March on Raleigh. I met people from all over North Carolina and talked with them about what brought them to the Moral March. See the NC AIDS Action Network’s Instagram feed at https://www.instagram.com/ncaidsaction/. This entry was posted in news and tagged HIV/AIDS, Moral March, People's Agenda on February 11, 2017 by Damon.